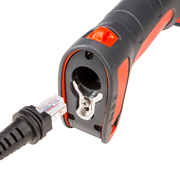 Honeywell offers the whole family of industrial scanners that are built to withstand the varied demands that exist in harsh working environments. The Granit housing is rated IP65 and is built to survive 5,000 3.3´ (1 m) tumbles and 50 drops to concrete from 6.5´ (2 m) even at -22°F (-30°C). 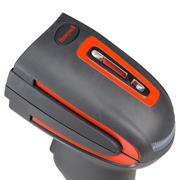 The Granit™ 1280i industrial-grade laser scanner goes the distance, reading barcodes out to 54’ (16.5m), or as close as 3.5” (8.9cm). 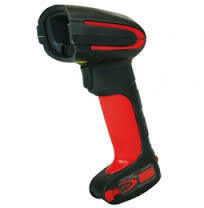 This is the only member of the Granit Family that features laser scanning engine built to read virtually all linear barcodes across a wide depth-of-field. 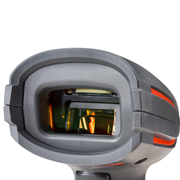 The Granit 1280i supports maximum worker productivity with its extended reading range, intuitive and configurable user feedback, and true industrial-strength ruggedness. Usually can be shipped within 1-2 days. Some configuration may require special order from manufacturer. Please contact Customer Support for product lead time.